If you’ve been around here for a while, you’ll know that I’m a big fan of walking places. I reckon I’ve probably walked a good distance across some of the major European and North American cities. It’s been no different in Melbourne; I’ve tried to avoid public transport where ever possible and take in as much of the city as I can. I’ll be honest, it has been pretty sensational. 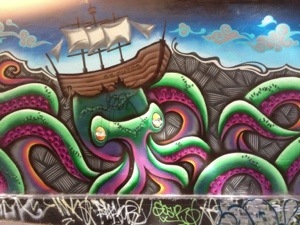 Hosier Lane in the CBD is one of the finest displays of the incredible talent of the local street artists. Every time I’m in the area I try to take a detour to see what’s new on the ever-changing living art project. I have absolutely no idea if graffiti is legal or what the situation is, all I know is that this is a great idea. During my stay with my pals Matt and Sarah, Matt played tour guide for a day. He told me he was actually quite pleased to have someone around who was up for a walk about the city. Apparently Sarah’s not much fun after fifteen minutes or so. Good job she was at work. 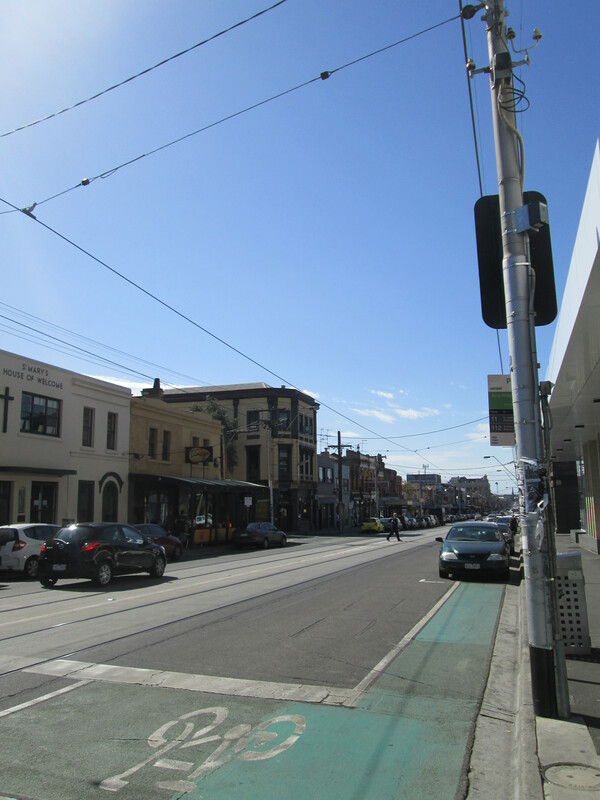 Anyway, Matt had a few sights and had planned a bit of a northern-inner-suburbs-city-tour in the space of about five minutes one morning. In even some of the smallest areas, no more than a few blocks or a single street there can be so much to see. 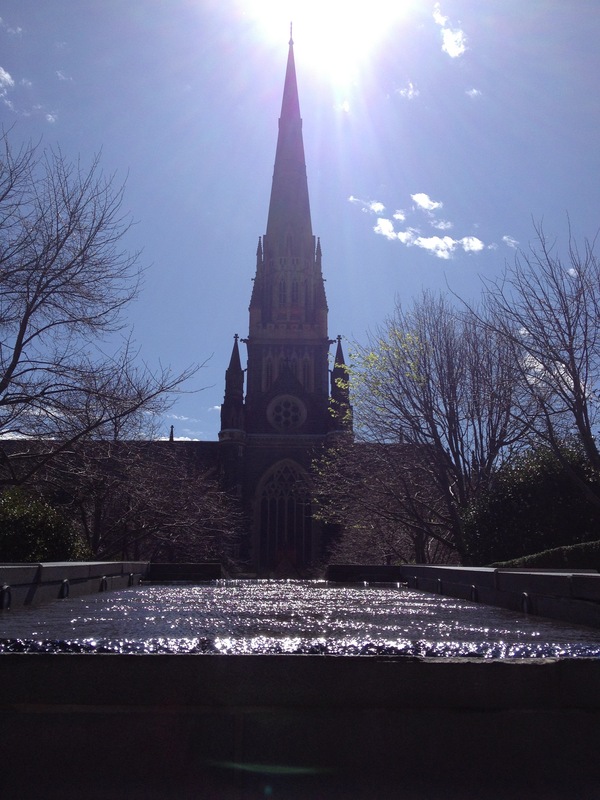 Our tour started at St Patrick’s Cathedral which on first sight is just another church but it had a pretty cool water feature which meant for a brief stop to try and get the perfect shot. 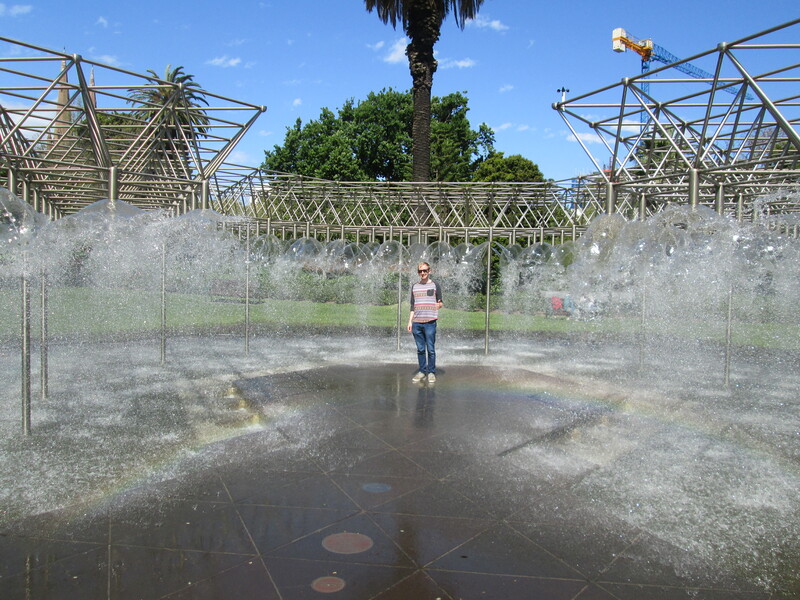 We then headed into Fitzroy Gardens, which has so far been my favourite of Melbourne’s parks. There’s plenty to see here and plenty of space as well. It amazes me how green Melbourne is for a city. You don’t have to walk far to find a park and they’re all a pretty good size. Fitzroy Gardens, however, is huge and I’m sure we only covered a small area. We had a bit of a laugh down at Cook’s Cottage. You would think that based on it’s name Captain James Cook may have once lived in this cottage, but there is apparently little to suggest this. Equally interesting is that the owner of the cottage, originally based in North Yorkshire, decided to sell it with a condition of sale that the building remain in England. Who even knew that was a thing? 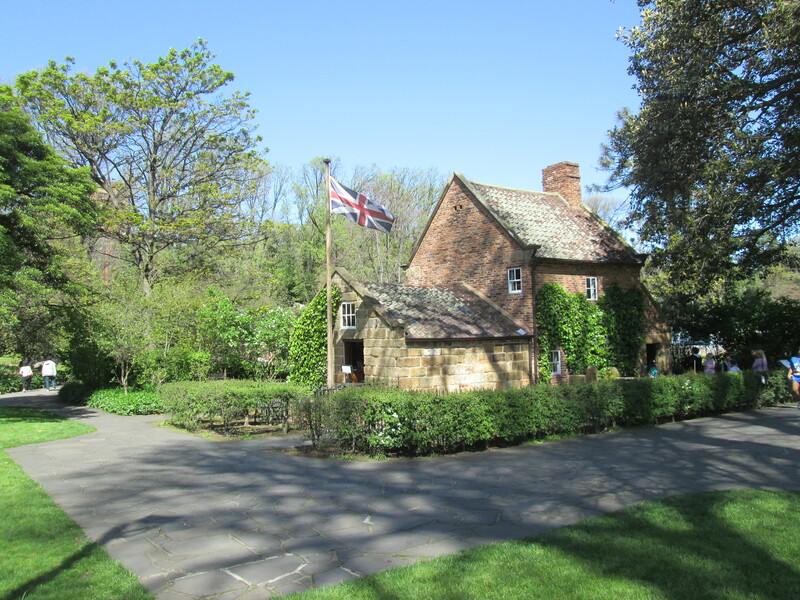 “I’d like to buy your house and ship it, brick by brick, around the world.” Story goes she was persuaded to change “England” to “the Empire” and now here it is! I attempted to take a photo for some time, advising Matt that I was waiting for a good breeze to get the Union Flag up and about. At my request, Matt kindly gave a good strong exhale and encouraged the flag to fly in all it’s glory for me. I told you he was a pretty cool guy. 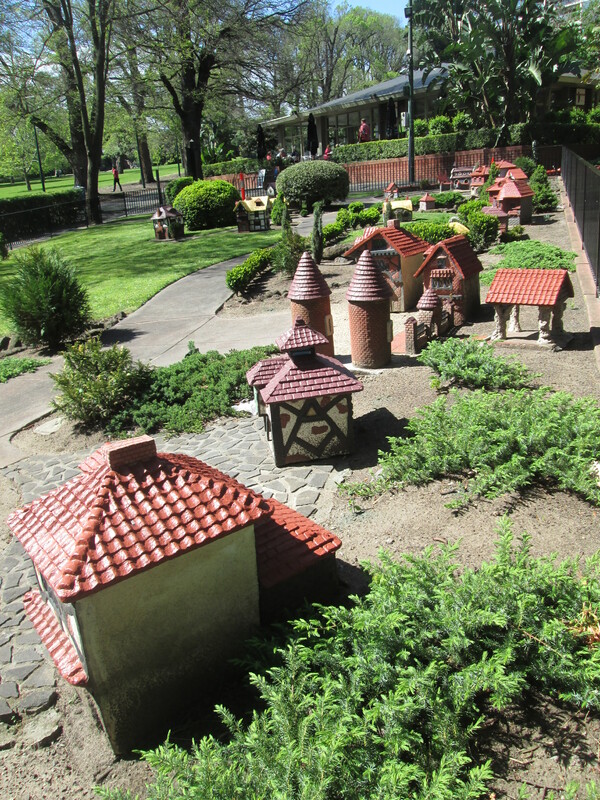 After that we headed up to the saddest model village in the world. Matt had warned me about how pathetic it was, but I was still a little bit intrigued to see it. The man was right though, it was tragic. Britain, this was a gift from us; we really need to work on our ideas about what is ok to give to another country. Once finished up in the gardens we headed towards Brunswick Street, one of the hippest places I’ve been to in Melbourne so far. One the way, we happened to pass what may well be the most unique street in the world: Bionic Ear Lane. Please feel obliged to let me know if you’ve got a better street name than that up your sleeve. Brunswick Street didn’t disappoint. Boutiques, cafes, bars. People with excellent hair and interesting tastes in fashion. I was about as close to heaven as I’ve been since arriving in this most excellent of cities. We walked the length and I enjoyed every bit of it. I hope to spend some more time there getting to know a few of the bars and cafes. I might even buy a dangeroulsy trendy t-shirt there for an extortionate amount of money at some stage. 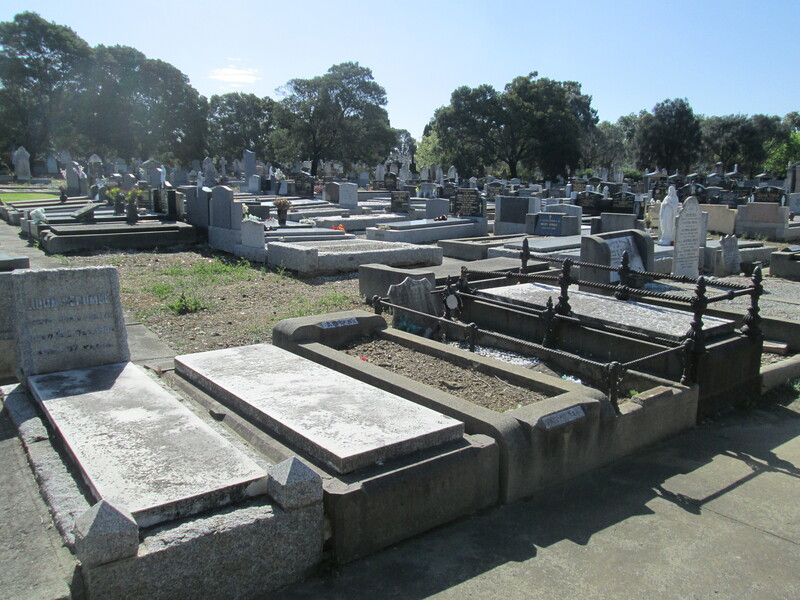 Next up came our grand finale and one of those weird and yet irresistible tourist hot spots; Melbourne Cemetery. The fun here began by not being able to find a way in and ended by not being able to find our way out. Obvious jokes were made in regards to the impending zombie apocalypse but somehow we made our way out before meeting with death. Jokes aside, it was a pretty impressive place. It was like a forest of graves and tombstones that reached out towards the horizon. There were an eclectic mix of religions and race, showcasing Australia’s immigrant history. There’s so much to see and so much to do. This is most definitely a city to live in. Even now, I’m talking to people who say this is the best place to live in Australia. For the first time in a long time, it feels like I’ve been making a lot of correct life decisions.